A Japanese television show adapted from the manga of the same name about two rival high school baseball games. The stars of each team, Hideo and Hiro, happen to be childhood friends. In the past few months I have seen more Jdramas and Jmovies that I can actually count or even remember, but this one will stick in my mind. The beauty of this jdrama is that has the exact amount of everything: romance, drama, sport, friendship and comedy. It never get on your nerves or has those REALLY cheesy moments all fans of Jdramas really knows. Hiro Kunimi was an ace pitcher in junior high school,until he was diagnosed by a doctor as having a "glass elbow"(user comment: what the...?!!). He gave up baseball and joined Senkawa Senior High School's soccer team. But then something happens that reignites his passion for baseball and he joins a baseball team managed by Haruka Koga. And he finds himself in a match against his old friend/rival Hideo Tachibana who has advanced to Meiwa No.1 High School. The meeting of the two is observed by Hideo's girlfriend Hikari Amamiya, who is also Hiro's childhood friend. Meanwhile, Haruka finds herself increasingly drawn towards Hiro, despite his being interested only in baseball. 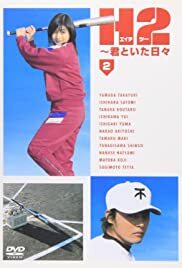 It's a story about high school students who dream of appearing at Koushien baseball tournament and young love. The director is Tsutsumi Yukihiko who brought us Sekai no Chuushin de, Ai wo Sakebu and Keizoku. Tsutsumi, who is renown for extraordinary visual skills, makes use of the latest special effects techniques. Very nice story, to enjoy while eating something (you0ll understand once you see it).